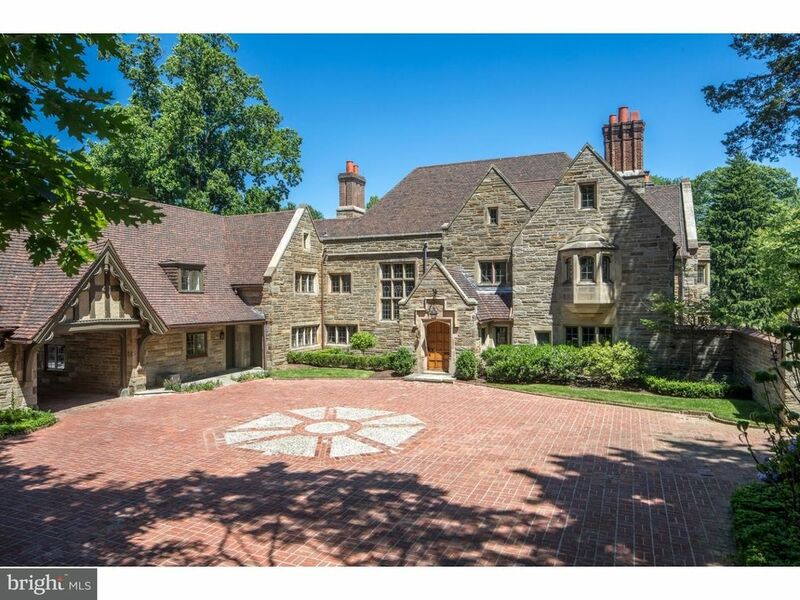 One of Radnor Township's most prized properties has been masterfully restored and modernized, establishing itself as the preeminent opportunity for sophistication and inspired luxury living on the Main Line. KingsHaven Design and KingsHaven Properties took immense care to retain the home's exquisite details, while refurbishing its faded beauty through thoughtful restoration practices and state-of-the-art construction methods. The team's passion, expertise, and consideration for the irreplaceable, timeless historic features are undeniable, and the results: utterly spectacular. Built circa 1929 by famed architects, Bissell & Sinkler, the roughly 10, 700 SF English Arts & Crafts manor enjoys terrace views of its expansive lawn and tree-lined estate. The 2.5 acres are a grand, yet private setting, and a true rarity for a home within walking distance to downtown Wayne. The home's grandeur is revealed through the front hall's Calacatta marble slab work and rare chestnut flooring, paneling and beams. The dining room and family room, the dramatic focal points of the main level, are adorned with exquisite stained-glass windows, intricate plaster moldings, and 3 of the home's 6 antique limestone fireplaces. Soaring ceilings, terrace access, and butler's pantry create the perfect setting for both intimate gatherings and large, formal entertaining. The new, pristine gourmet eat-in kitchen with custom cabinetry, granite, marble, luxury appliances, and designer lighting make family life a joy. The remaining first level, equally luxurious, features a private study with built-ins, elegant den, and mudroom. Day's end, retreat to the master suite: serene, sophisticated, and inviting. It features a private terrace, fireplace, and seating area, while the limestone and Calacatta marble master bath impresses with soaking tub and marble shower. His & hers custom vanities and walk-in closets complete the striking space. 5 additional bedrooms and 6 baths provide ample space for family & guests. An in-law/au pair suite above the 3-car garage includes a full bath, half kitchen, living room, exterior entrance, and elevator access. Large media and rec rooms have been finished to fulfill the entertainment and fitness needs of any family. The home is tech-ready and restored to perform as if new. Modernity was added via an advanced energy-efficient geothermal HVAC system, radiant floor heat, luxury appliances, new electric and plumbing.